Every gentle, flowing, tranquil outward movement in the ancient Chinese art of Tai Chi creates a powerful current of internal energy. Tai Chi originated in China around the 12th century as a martial art. It was practiced by China’s Imperial Guard because of its superior fighting techniques. As time went on, villagers noticed the health and fitness these martial artists retained clear into their 90’s. When people recognized the indisputable health benefits of Tai Chi, it began to “spread like grass” throughout China, and eventually throughout the entire world. Using slow and relaxed movements, you will learn to move your body with intention. The combination of breathing, form, and meditation techniques help massage the internal organs. This allows the exchanges of gases in the lungs, which in turn aids the digestive system to work more efficiently. The key is in learning to sink and relax the pressure downward. Some scientific studies even show an increase in grey matter in the brain, which boosts both calmness and awareness. All in all, you can experience a life-changing healing transformation, no matter your age, condition, or individual challenge. t Physical therapists and sports medicine practitioners because it moves and lubricates every joint and ligament in the body. It is a non-strenuous exercise to increase flexibility. t Psychologists because it helps release endorphins in the body which helps with better sleep, relaxed mind and even aids recovery from PTSD, among other traumas. t Physicians for countless ailments… Studies show that Tai Chi may improve a wide variety of health issues, too many to even list here. Tai Chi was first designed for fighting, and for medical patients everywhere, it still is being used for this. What are you fighting? t Coaches and trainers because athletes can learn how their bodies utilize positive motions without causing bodily harm. t People in high-stress situations, like military, police, and firemen. They learn to reach their inner calm, which is essential in performing their duties. t Those restricted to wheelchairs, walkers, or canes who learn to transcend their restrictions. Medical research studies throughout the world, including those performed by Mayo Clinic and Harvard Medical School, refer to Tai Chi as “cutting edge energy medicine” and report measurable, positive results in almost every branch of medical studies. 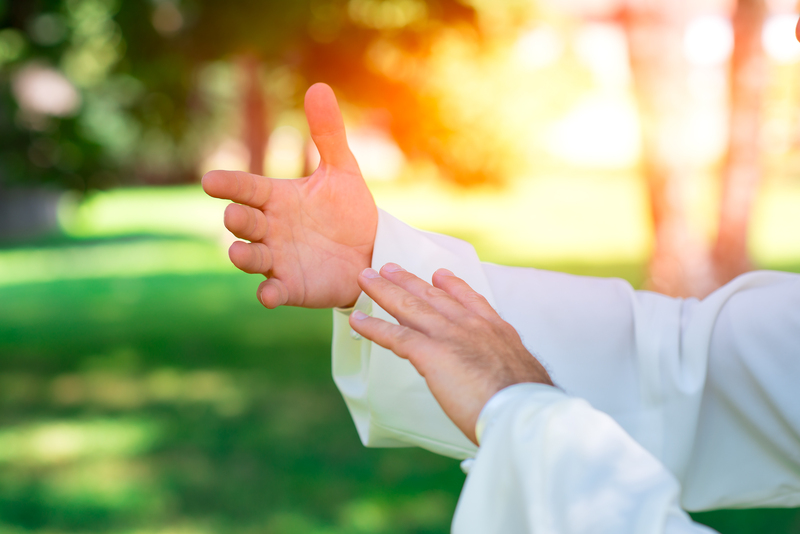 Tai Chi has been tested and proven to help rehabilitate injuries and traumas and to help heal ailments such as arthritis, heart disease, chronic pain, gastrointestinal disorders, joint problems, depression and anxiety, balance and flexibility deficiencies (to name just a few). All in all, with the practice of Tai Chi, many people throughout the world have experienced some kind of a life-changing healing transformation, no matter what their age, condition, and/or individual challenge may be. Tai Chi creates the balance and harmony of outer and inner yin and yang with the paradoxical interaction of both its healing/meditative and martial virtues. It creates an internal balance and flow that rises to the surface. Tai Chi creates the inspiration for a myriad of artistic expressions. It is “meditation in motion”. it is “art in motion”. Tai Chi is very easy to learn at any age. Many “workout” fads come and go, but Tai Chi has a depth to its art that has withstood the test of time. Tai Chi changes the way you stand, walk, bend, and reach. Your awareness, how you think, and how you learn will be transformed in a far more relaxed, creative way. Tai Chi brings a deep relaxation that lets go of the blockages within and between the physical body, subconscious, and consciousness. t The morality of deed – Humility, Respect, Righteousness, Trust, and Loyalty. t The morality of mind – Will, Endurance, Perseverance, Patience, and Courage. 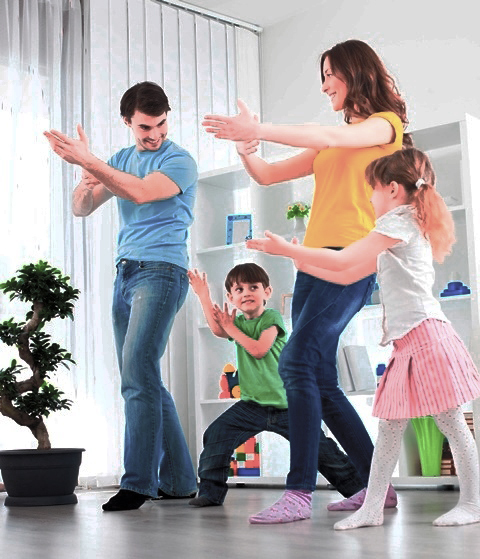 The practice of Tai Chi is a creative way of passing on these values to the younger generations. Chi is energy. It circulates and radiates throughout every system, fluid, and organ of your electro-magnetic-chemical body. The practice of Tai Chi will also progressively penetrate the realms of the subconscious and consciousness. 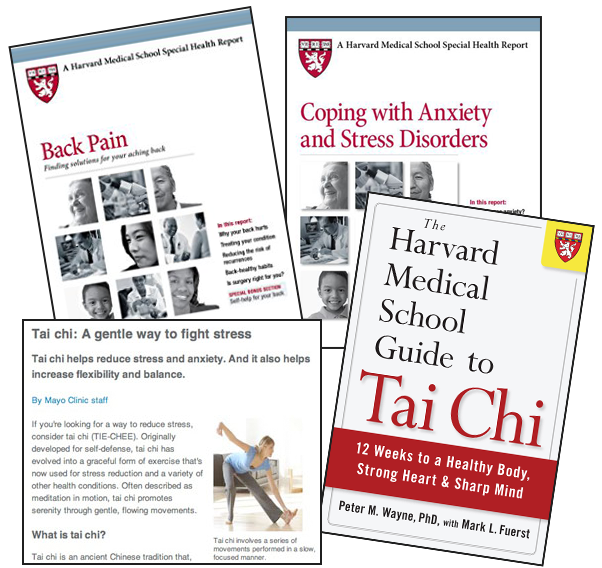 Tai Chi has been endorsed by prestigious medical researchers world-wide including Harvard Medical School and Mayo Clinic. 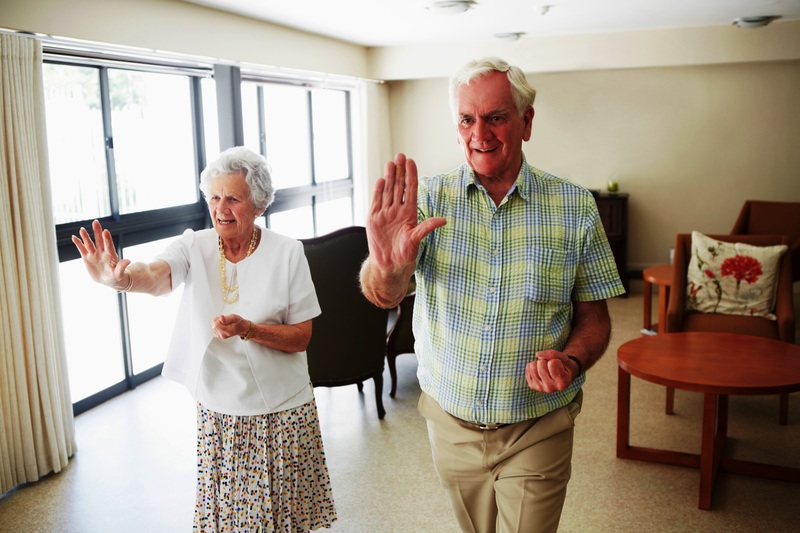 Mayo Clinic calls Tai Chi “medication in motion” and describes it as “slow, gentle, dance-like movements to encourage relaxation, improve balance, and strengthen muscles and joints. It's never too late to start learning this beautiful ancient Chinese art. Sign up to stay informed about New Programs & Retreats!